The third Constitution of the State of New York was adopted in 1846 and stayed in effect for 23 years. During that time, the cases that came before the courts reflected the conflicts in society. The mid-19th century saw the continued development of canals and railways, and the new infrastructure which made travel easy and provided reliable and cost effective transportation for goods and agricultural products, created new legal issues. The plight of tenant farmers subject to manorial tenures that had carried over from colonial times continued to roil the Hudson and Mohawk valleys, and led to two major cases before the Court of Appeals. By mid-century, commitment to the emancipation movement led to a decade long court struggle against the State of Virginia — the Lemmon Slave Case. The courts also dealt with issues arising from the Civil War, including the suspension of habeas corpus and the implementation of the military draft. The status of lands owned by Native Americans was resolved by two New York cases decided in the New York Court of Appeals and the Supreme Court of the United States. And, continuing a practice as old as the courts themselves, writers and journalists drew on sensational court cases to entertain and fascinate the public. The State’s third Constitution went into effect in 1847. In a time of rapid growth and development, the judicial system that New York had inherited from the English, with its separate courts of common law and equity, proved frustratingly slow and expensive. 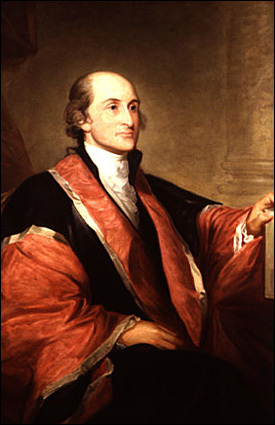 The Constitutional Convention convened in 1846 proposed radical change – the merger of common law and equity jurisdictions into a single court system with a new court of final appeal, the New York Court of Appeals. The Convention also provided for a new code of practice and procedure to replace highly technical and cumbersome rules that existed in the courts of common law and chancery. The Constitutional Convention of 1846 focused on issues of agricultural tenure, banking and currency, canals corporations, the judiciary, limiting of State debts, State aid to private enterprises and suffrage. A full description of the issues before the Convention and a history of the proceedings can be found in Charles Z. Lincoln. The Constitutional History of New York from the Beginning of the Colonial Period to the Year 1905, Showing the Origin, Development, and Judicial Construction of the Constitution, Volume II, which is available digitally at the New York State Library. The third constitution was adopted by the People of New York in November 1846. The text of the 1846 Constitution is available here. All other New York State Constitutions are available here. The Judges of the New York Court of Appeals: A Biographical History. Edited by Albert M. Rosenblatt. (2007). Francis Bergan. The History of the New York Court of Appeals, 1847-1932. (1985). Charles Z. Lincoln. The Constitutional History of New York from the Beginning of the Colonial Period to the Year 1905, Showing the Origin, Dvelopment, and Judicial Construction of the Constitution: Volume 2, 1822-1894. (1905). Available digitally at the New York State Library. Alden Chester, E. Melvin Williams. Courts and Lawyers of New York: A History, 1609-1925, 3 volumes (1925). Henry Wilson Scott. The Courts of the State of New York: Their History, Development and Jurisdiction (1909).